Music: Billy Kirchen Vocals, George Byrne Lyrics, Brandi Shea, Produced by Alex Elena and Topher Mohr. “In the time I have known Billy, he has proven to be extremely hard working and dedicated to every art project that he has conceived and created. He has the ability to take an original idea and see it to its successful conclusion, whether that be directing Shakespeare productions, taking inner city children to perform in New York along side top name celebrities, or composing an opera.” To read the full letter, click here. 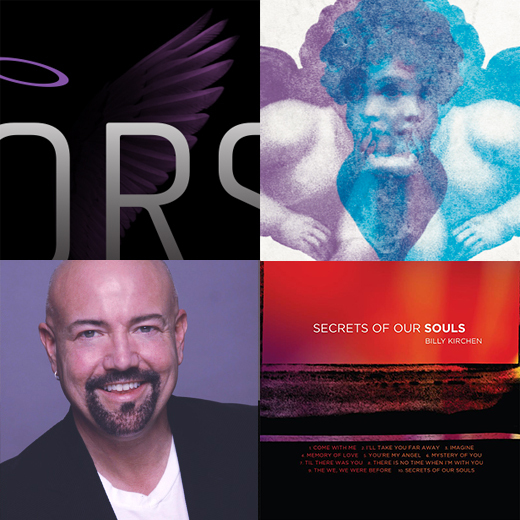 American baritone, pianist, and composer Billy Kirchen has been heralded by the legendary Marvin Hamlisch and Harold Prince for his consummate artistry and lyricism that span two continents–North America and Asia. He appeared in New York City with a bravura performance alongside Natalie Cole at New York City Center and with Dolly Parton in Minneapolis. Mr. Kirchen launched the world premiere of his The World’s Our Playground in Tochigi-Ken, Japan. Most recently, he was commissioned by his almamater Marquette High School to compose a piece of music for their 150th Celebration and by the City of Milwaukee to write their Anti-Graffiti Anthem. He performed his music at the 2003 USA Gymnastics Championships and the 2003 All-Star Indoor Soccer Games. Other engagements include a recital for Wisconsin Governor Scott McCallum, and he and his compositions have been featured at the Wisconsin Sports Hall of Fame induction ceremonies and at the Donald Driver Foundation’s Driven to Achieve Annual Award Presentation. Mr. Kirchen’s national theatre and vocal credits include: Oscar in Marc Blitzstein’s Regina; the Prince in The Little Mermaid; Cinderella, and La Boheme, all with Great Lakes Opera Company. He headlined the North American premier of Damn Tango with Theatre Tesseract. He was also a featured soloist with the Boca Raton Pops Orchestra. He has performed at countless venues in Las Vegas, Los Angeles, and Miami. Since founding the Prayer for a Nation choir in 2001, Mr. Kirchen has gained recognition as a leader in working with children. He has devised and directed musical theater education programs for Our Lady Queen of Peace Catholic School in Milwaukee and has toured with the choir to both New York City and Minneapolis. Mr. Kirchen began his professional career early on as a member of the Kids from Wisconsin touring ensemble. At age five he began studying piano under Adelaide Banaszynski at the Wisconsin Conservatory of Music. He studied voice with Adele Borouchoff at the University of Wisconsin, where he received a bachelor of French, and in Los Angeles under Seth Riggs.